This might just be a coincidence, but it’s still fairly remarkable. The HR heads of Flipkart and Snapdeal have both quit on the same day as the two companies are said to be in the final stages of what will be the biggest merger in the Indian startup space. Nitin Seth, who was the COO of Flipkart and headed Human Resources, has put down his papers after CEO Kalyan Krishnamurthy took over the HR function just a week ago. Saurabh Nigam, who was Snapdeal’s HR Chief, has also resigned after a three year stint at the firm. “After spearheading Snapdeal’s human capital function for more than three years, Saurabh Nigam has decided to move on to pursue further career interests in a field close to his heart. Saurabh has been an integral and invaluable part of Snapdeal’s journey. We thank him for his vision and exemplary leadership and wish him the best for his future endeavors,” Snapdeal said on Nigam’s resignation. Nigam had joined the company in April 2014, and had overseen some tumultuous periods in Snapdeal’s journey. In 2016, fired Snapdeal employees had protested in the office and gone on a hunger strike, while early this year, the company had let go of another 500 employees to cut costs. Nitin Seth had joined Flipkart in February 2016 as its Chief People Officer, and was eventually made COO in January this year after a string of high-level resignations. Besides Human Resources, Seth was also the head of Flipkart’s logistics divison eKart and the firm’s strategy function. Just last week, his HR role had been transferred to CEO Kalyan Krishnamurthy. This churn in the two firms’ HR functions has likely come at an inopportune time. Flipkart and Snapdeal are expected announce a merger soon, and this would mean bringing together two large teams which had been competing fiercely for nearly a decade. Apart from logistical challenges of Snapdeal being headquartered in Delhi and Flipkart being based in Bangalore, there are also expected to be redundancies — Flipkart and Snapdeal both have large teams with overlapping job functions, and after the merger, it’s expected that not all roles from both firms will still be useful to the combined entity. Worse, Snapdeal comes into the merger with essentially no money in the bank — reports have said that the company has four months of runway left, so it’ll be looking to further cut costs to drive efficiencies. 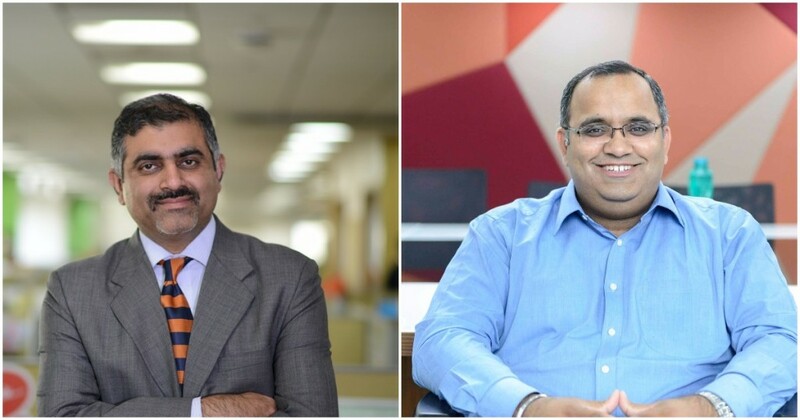 With both HR Heads gone, Flipkart and Snapdeal will not be able to draw on the experience of these executives as they go through their complicated union. The Flipkart-Snapdeal merger could be a defining moment in Indian e-commerce — its execution will determine if the combined entity stands a chance against an ascendant Amazon, or falls by the wayside. And the simultaneous resignation of its HR heads shows that apart from external factors, the companies will also have to deal with internal challenges of their own.